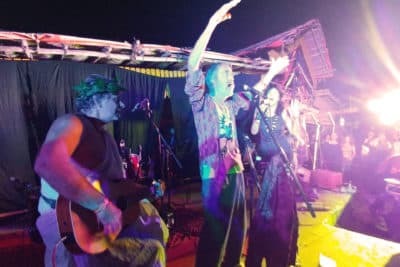 Happening in February, Arambol Carnival is the celebration of the hippy lifestyle in Goa. Update: the date has been set for Arambol Carnival 2019. 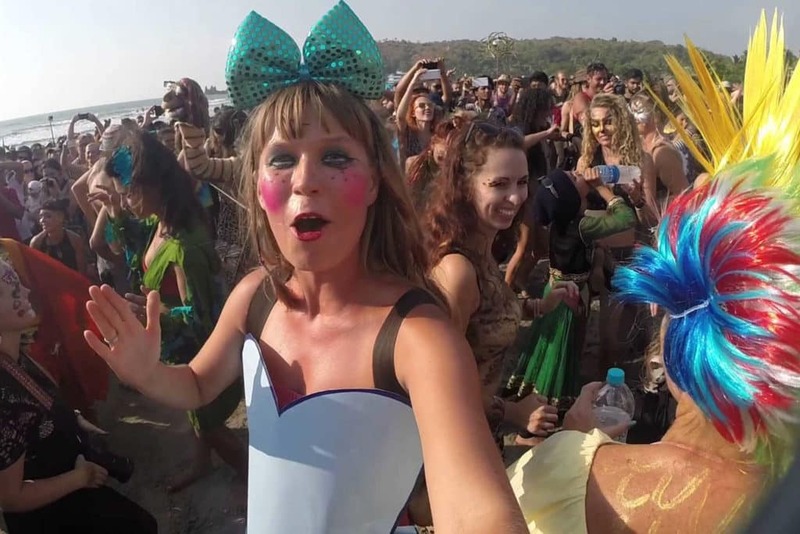 The most exciting Goa Carnival will happen on February 27th on Arambol Beach. The theme of the parade will be the Oceans. So, if you are planning to participate, start planning your carnival costume accordingly. Arambol Carnival is a fantastic, mind-blowing party anyone can experience in Arambol beach. 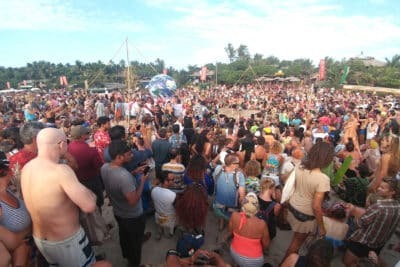 A one-day parade started years ago by Zouzou, an American, talented actor, and comedian who travels to Goa every year with one and one only goal in mind: to give the Arambol community and tourists a unique adventure. Arambol Carnival happens every year somewhere at the beginning of February (In 2018 it was on Feb 8th, it will be Feb 29th on 2019) and it involves thousands of people. 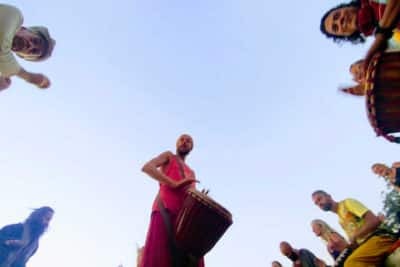 Some of them are, let’s say, the core of the event: many Arambol musicians and artists who participate in creating art installations and performances. But the vast majority are the many tourists from dozens of countries that have the privilege to enjoy the whole event for free. How to participate in Arambol Carnival? To participate in Arambol Carnival is easy: just go to Arambol beach in the afternoon, on the cliff side, search for the crowd and join them. You don’t necessarily need to disguise yourself. In fact, most of the tourists just enjoy the parade without actually do anything. Although, the Arambol Carnival gives it best to the ones who really participate. So, try to be in town a few days earlier, look for ZouZou (you can probably meet him at Arcan Bar) and ask to be part of the parade: he will be more than happy to find you something to do. Weather you are Indian or a foreigner, the Arambol Carnival will be welcoming to you. If you are a musician or an artist you can set up a performance at the beach during the parade. You can also help in building something with your hands. Free your creativity and put it at the service of the community. In exchange, you will receive an unforgettable experience. What makes Arambol Carnival so unique? 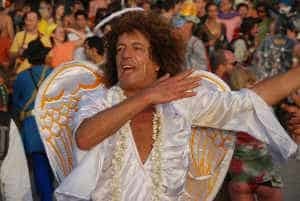 Unlike many Carnival parades around the world, the Arambol Carnival represents the pure expression of the hippy community. It is wild, free, vibrant. It ends with a concert which involves most of the musicians from Arambol and Goa and goes on until late at night. And, oh boys: the after-concert party is something you don’t want to miss. So, what about Arambol Carnival 2019? ZouZou recently announced the theme of the 2019 edition. Oceans! Fish then, but also marmaids and… plastic? I will update this post as soon as I will have more info about it.